How’s the Glendale, Ca Real Estate Market? The first quarter of real estate activity in Glendale, Ca showed the most homes for sale in February 2017 (117 homes) along with with the highest price per square foot (470p/sqft.). The Glendale, Ca real estate market data showed the average list price continuing to increase in the month of March 2017 ($1,017,00). The Glendale, Ca real estate market is strong and inventory is still low in our local market, but real estate is more “house specific” rather than “market specific” at the moment. There is limited inventory of houses that buyers perceive as “quality”, which results in multiple offers on some homes while others sit on the market for months with no interest. Certain homes strike an emotional chord with buyers while others do not. What to expect moving forward? As the Spring and Summer months are around the corner, we can anticipate and expect similar market trends combined with a slight increase in our Glendale, Ca market. 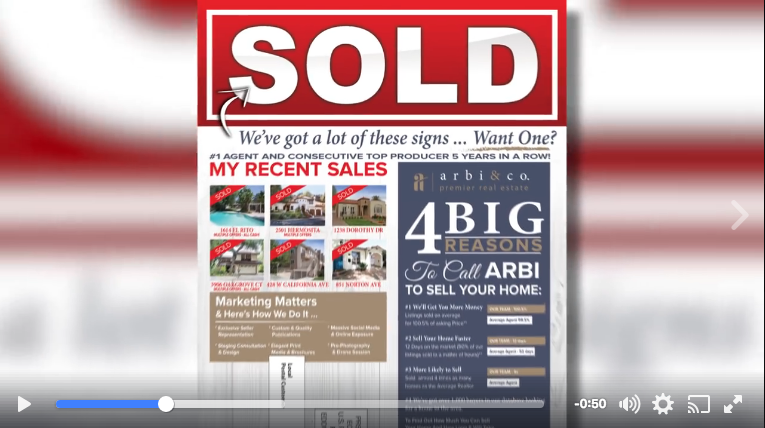 ***Effectively marketing your property to sell for the highest possible price is crucial in this market as you only have “one shot” once it’s on the MLS. Exposure and presentation are critical to every potential buyer. If you’re interested in making a move this year, lets talk.